Ivan Rakitic, on the other hand, might be on his way out of Barcelona. The Croatian is 31 and Barcelona might look to cash in on him. Making him a paperweight in a Pogba deal could work for all parties. It is also reported that if Pogba signs for Barcelona he will only be second to Messi on the wage bill. 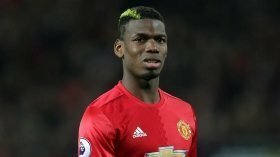 Paul Pogba would not easily be tempted to move out after the success and the run of games he has enjoyed under Ole. Yet Barcelona have options to test United's resolve.